The Elantra Sport and Sport Premium are motivated by a 150kW/265Nm 1.6-litre turbo-petrol four-cylinder engine. 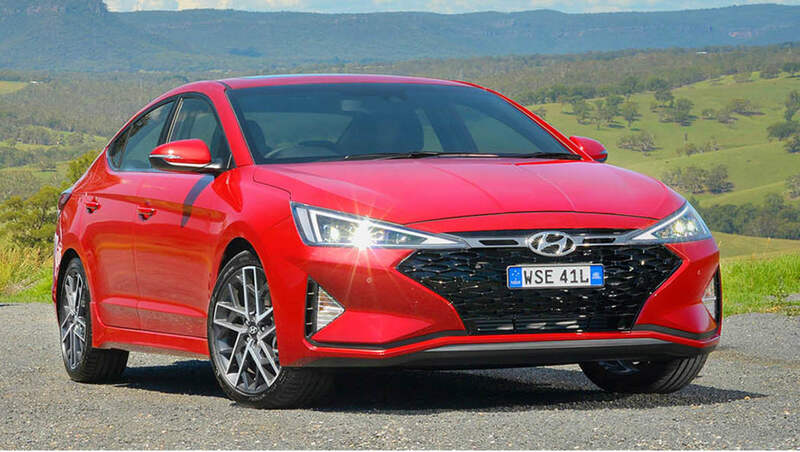 Hyundai Australia has confirmed pricing and specifications for the two turbocharged grades of its facelifted Elantra small sedan. With the Elite variant deleted, the former SR flagship grade has been renamed and split into two, with the Sport and Sport Premium priced from $28,990 and $31,490 plus on-road costs respectively. While a six-speed manual transmission is standard, a seven-speed dual-clutch automatic unit with paddle-shifters can be optioned for $2500 on either front-wheel-drive model. The Sport and Sport Premium are motivated by their SR predecessor’s 1.6-litre turbo-petrol four-cylinder engine that produces 150kW of power at 6000rpm and 265Nm of torque from 1500 to 4500rpm. The Sport scores 18-inch alloy wheels and a bodykit. Standard equipment in the Sport includes LED headlights, daytime running lights and tail-lights; 18-inch alloy wheels, a sports bodykit, keyless entry and start, front sports seats, a sports steering wheel, alloy sports pedals, stainless-steel scuff plates, dual-zone climate control, leather-appointed upholstery, carbon-fibre-effect trim and a black roofliner. 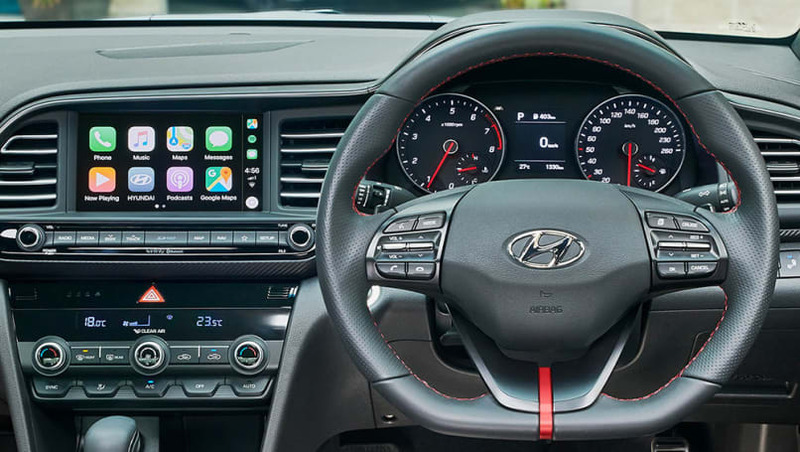 These features are in addition to the Elantra’s 8.0-inch touchscreen multimedia system, satellite navigation, Apple CarPlay and Android Auto support, digital radio, Infinity sound system and 3.5-inch multi-function display. The multimedia system comes standard with, sat nav, digital radio plus Apple CarPlay and Android Auto. Advanced driver-assist systems extend to autonomous emergency braking (AEB), lane-keep assist, blind-spot monitoring, rear cross-traffic alert, high-beam assist, cruise control, a reversing camera and rear parking sensors. The Sport Premium adds a 10-way adjustable power driver’s seat, wireless smartphone charging, an auto-dimming rearview mirror, front parking sensors and a sunroof. Metallic or mica paintwork is available for $495, while a red interior package can be optioned for $295. 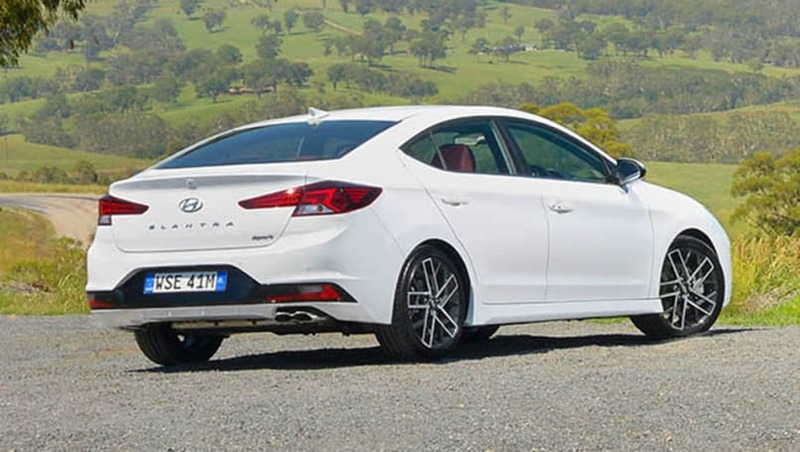 As previously reported, the naturally aspirated Elantra grades are priced from $21,490 for the Go manual, $23,790 for the Go automatic and $25,990 for the automatic-only Active. Do warmed-over small sedans still have a place in showrooms? Tell us what you think in the comments below.